South Ossetia (/ɒˈsɛtiə/), also known as the Tskhinvali Region,[nb 1] is a partially recognised state in the South Caucasus, located in the territory of the South Ossetian Autonomous Oblast within the former Georgian SSR. It has a population of 53,000 people who live in an area of 3,900 km2, south of the Russian Caucasus, with 30,000 living in its capital city of Tskhinvali. South Ossetia declared independence from the Georgian Soviet Socialist Republic in 1991. The Georgian government responded by abolishing South Ossetia's autonomy and trying to re-establish its control over the region by force. The crisis escalation led to the 1991–92 South Ossetia War. Georgian fighting against those controlling South Ossetia occurred on two other occasions, in 2004 and 2008. The latter conflict led to the Russo–Georgian War, during which Ossetian and Russian forces gained full de facto control of the territory of the former South Ossetian Autonomous Oblast. Abkhazia (Abkhaz: Аҧсны́ Apsny [apʰsˈnɨ]; Georgian: აფხაზეთი Apkhazeti [ɑpʰxɑzɛtʰi]; Russian: Абха́зия, tr. Abkhа́ziya; IPA: [ɐpˈxazʲɪjə]) is a partially recognised state on the eastern coast of the Black Sea and the south-western flank of the Caucasus Mountains, south of Russia and northwest of Georgia proper. It covers 8,660 square kilometres (3,340 sq mi) and has a population of around 240,000. Its capital is Sukhumi. The separatist Abkhazian polity, formally the Republic of Abkhazia or Apsny, is recognised only by Russia and a small number of other countries. 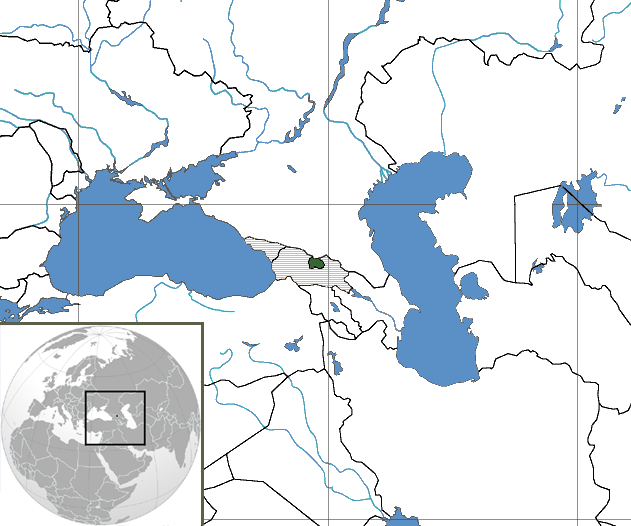 While Georgia lacks control over Abkhazia, the Georgian government, the United Nations and the majority of the world's governments consider Abkhazia part of Georgia, whose constitution designates the area as the Autonomous Republic of Abkhazia. Copyright © 2017 - 2019 Global Intelligence Forum.net All rights reserved.